Today I would like to share a cute story of Mikey. Once upon a time in a far away kingdom called MIW (Mikey and Izzy's World), there was a queen. This queen was known as 'Meowma' to Prince Michael and Princess Isabel. But there were others in this land. One of these others was King Vacs. King Vacs was not appreciated by the prince and princess. They scurried to hide every time they saw him. But one day, Prince Mikey found the power of Meowma and cuddles. He was in the palace when suddenly King Vacs arrived. He was frightened. He gave a startled look to Meowma, who was nearby. He climbed into her arms and snuggled up, at which point he started purring like a motor. 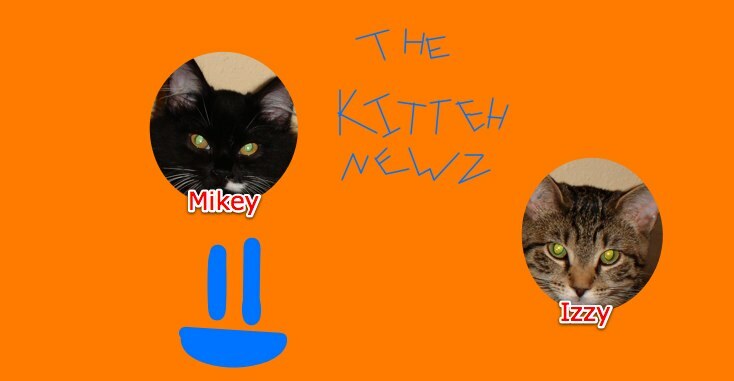 A smile grew across Meowma's face as she told him with truth, "Oh, Mikey. I love you." And they all lived happily ever after.